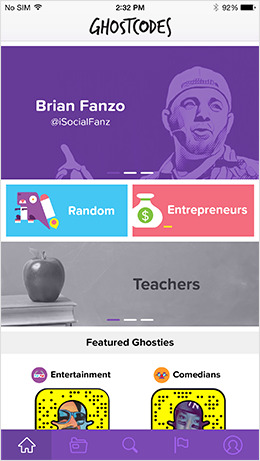 GhostCodes was a Snapchat discovery platform that enables you to find new people to follow on Snapchat, and allows influencers to grow their following. Unlike some "discovery" solutions out there for Snapchat, GhostCodes allowed you to find Snapchatters you actual want to follow. Our solution used dozens of categories and thousands of interests, along with geolocation, to help you find relevant content creators worth following. As the Program Manager and Product owner for GhostCodes, Austin oversaw the initial development of the MVP of the app, taking the product from concept to Beta launch in just three months. Since then, he has helped the team grow from three designers and developers to over twenty-five designers, developers, and content creators in order to continue to build new features for the product, as well as building an Android and web version of the app. A celebratory lunch with the GhostCodes development team during Austin's visit to Softway's Bangalore office. Unfortunately, GhostCodes is no longer available for use, and has since been removed from the app store. Here are a few screenshots of what the app looked like when it was available.